Earlier this year I made a custom baby clothes quilt for a client. That sentence sounds so matter of fact and professional, doesn’t it? 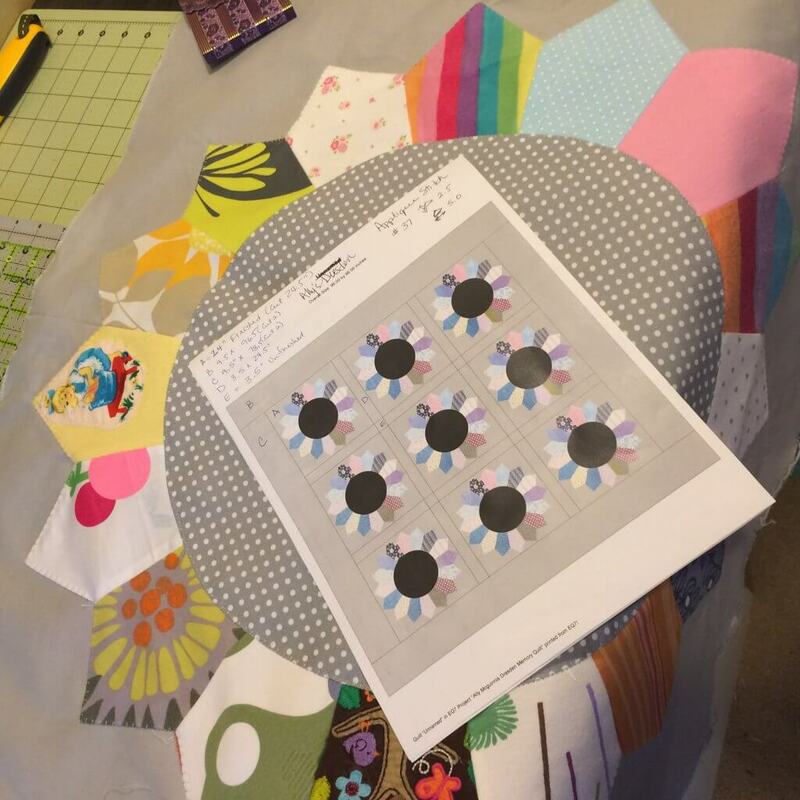 Just another day in the life of a quilt designer, right? Fortunately, she is a very happy client. Last week I suggested that we write up a post about the process, and she agreed to help me. We thought we could share what we both learned from the process. 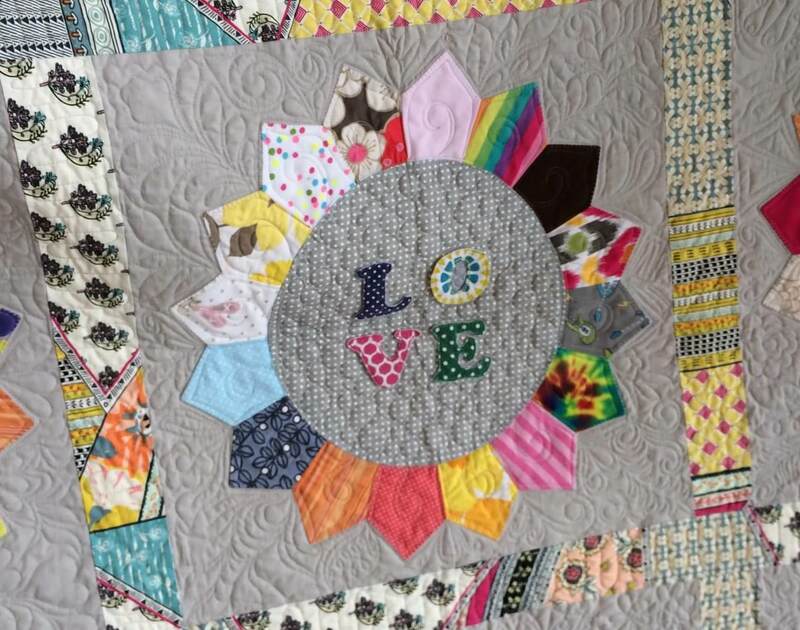 Whether you’re a quilter or someone who wants to have a custom baby clothes quilt designed, we hope we can offer you a few tips to help you out. SIDE NOTE: Design and Quilting is my thing. Journalism and copywriting is HER thing, so I’m super excited to have her input on this post! 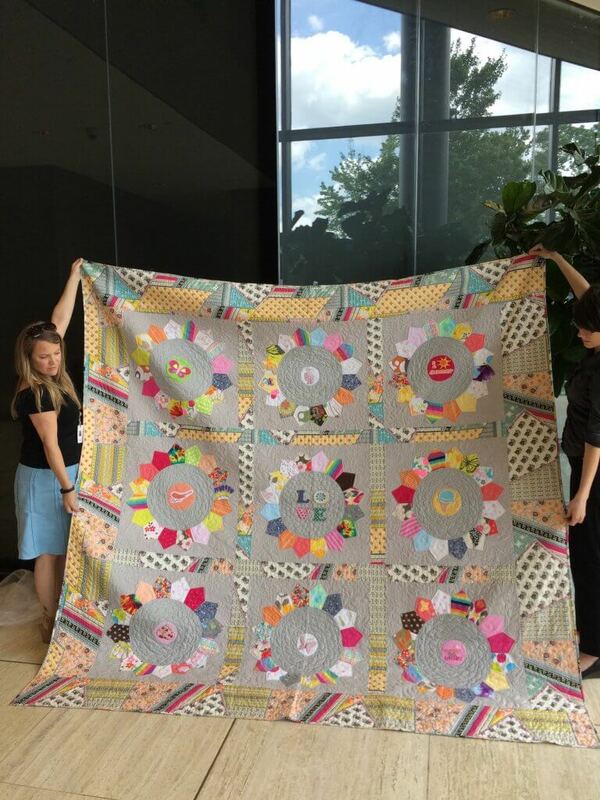 Shortly after Ally came to work at our office, she discovered I was a quilter. 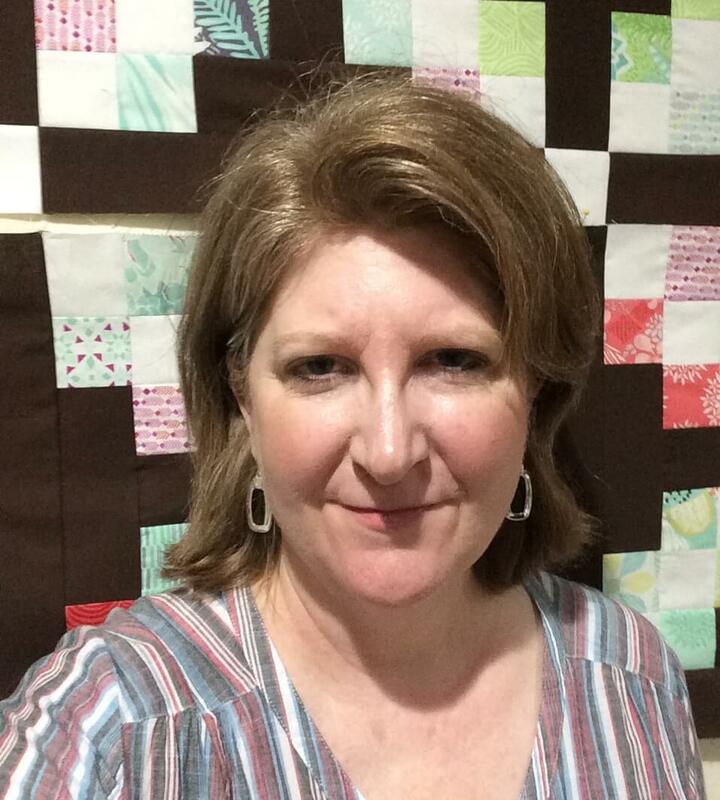 She quickly let me know that she was saving her daughter’s baby clothes to make a memory quilt. She had several concepts in mind, but wasn’t really sure which way to go. Once she decided to pull the trigger and hire me, it took us several months to nail down a design. You would think that with her having a few ideas already in mind, it would have been fairly simple. But the trick was finding something she liked that lent itself to using the small pieces of baby clothing we had to work with. Once I showed her a Dresden Plate design, she knew that was the quilt for her. BTW – the pattern for the quilt we ultimately came up with is available for purchase and there is a link to it at the bottom of this post. It was totally worth the extra time to get the design right. 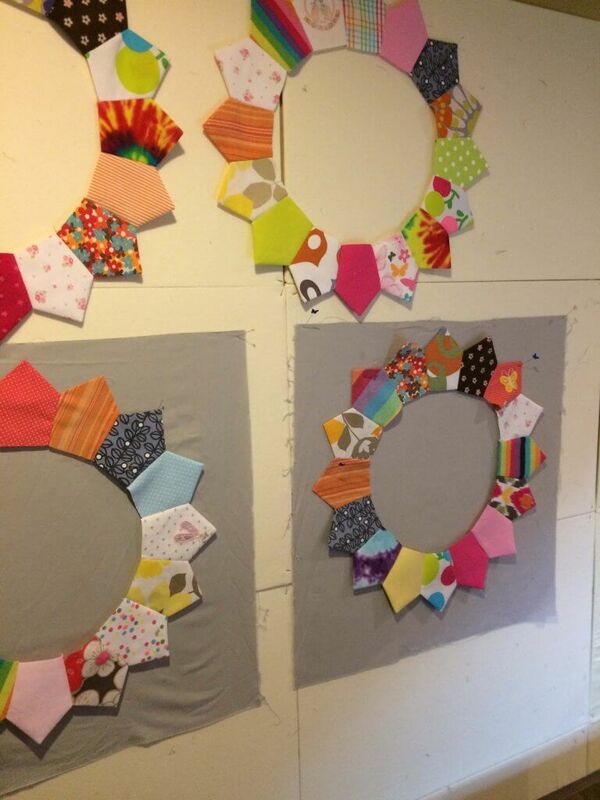 If you are working with a client to design a custom quilt, I’d say don’t rush the design phase. Spend as much time as you can learning your customer’s preferences and personality. The nuances often are discovered only after they’ve seen several different design iterations. Then something will strike a chord with them, and you’ll know you are on to something. One of the first concepts Ally suggested was to make a design that involved umbrellas. I showed her a few things, but had this nagging feeling that it just wasn’t right for her. I think it’s important as a designer to follow your instinct. Show a client something they haven’t thought of yet…something your gut tells you will work well for their situation. They may reject it, but sometimes it will open their mind up to the possibilities. Ally also knew that she wanted a fairly large size quilt to cover her king size bed. 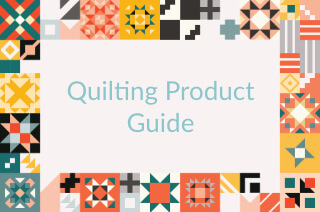 If you are considering making a quilt, it is helpful to know up front what size you want. The larger the quilt, the more you will need to invest in labor and materials. If you are unfamiliar with bedding sizes, you can check out my bedding size chart linked up here. Be flexible. My finished product is not the same as what I envisioned. It’s so much more beautiful that I could have imagined. Pick items that will match in some way. Even in chaotic designs there is something that blends everything together. Save, save, save your money. One of a kind items aren’t cheap, but they are worth it. Think about what you want for at least a year….while you’re saving! First, all of the baby clothes had to be deconstructed and stabilized. Once that was done, I used a tumbler ruler to cut the blades. They whip up pretty quickly. 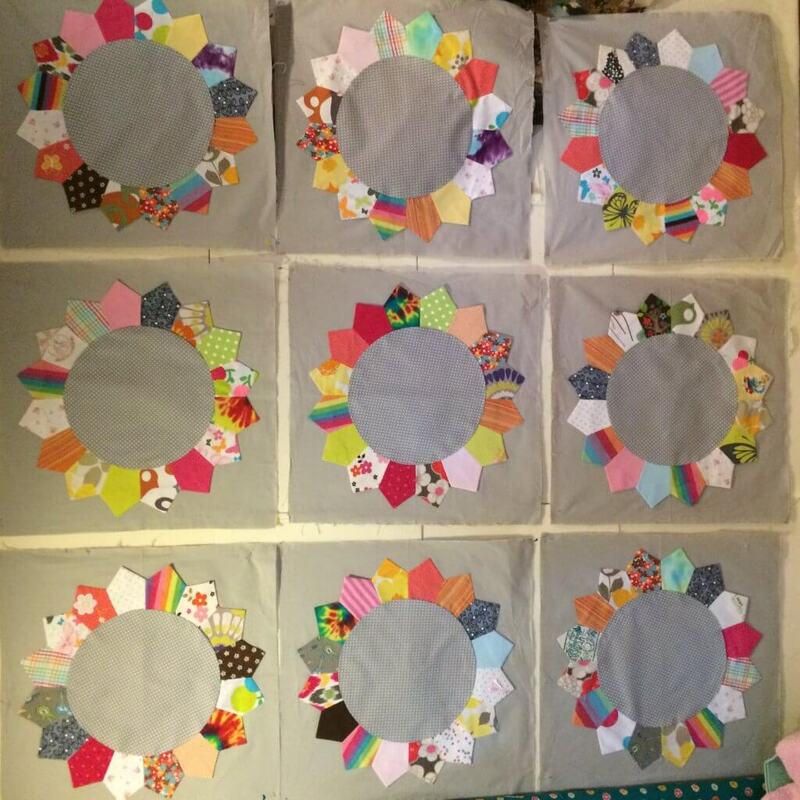 We chose a grey solid for the backgrounds, and a grey dot fabric for the centers of the dresdens. The neutrality of the grey allowed the various colors in the clothing scraps to pop. Sixteen blades per dresden, stitched together side by side. As I got to know Ally, I realized she was a Hippie at Heart. The crazier we could make it, the happier she was going to be. We salvaged as many of the appliques and patches from the baby clothes as we could and appliqued them back on to the centers of the dresdens. Ally chose a print for the sashing and backing that totally meshed with her personality – Indie Boheme by Pat Bravo for Art Gallery Fabrics. It added the perfect mix of crazy to the quilt. 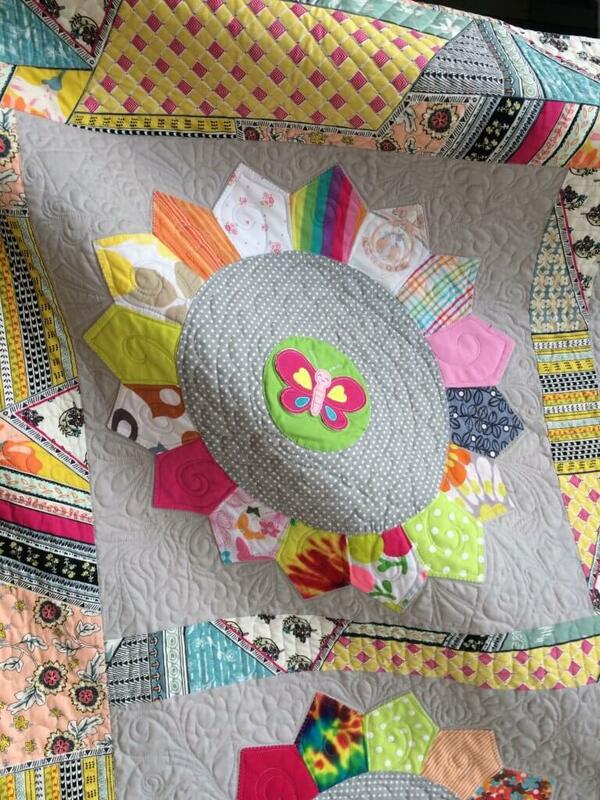 The beautiful custom quilting was done by Ann Olson of Ann’s Quilt N’ Stuff. 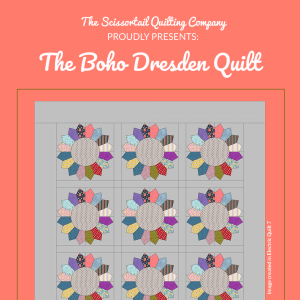 If you think you’d like to make a Boho Dresden, I whipped up the pattern. You can purchase a copy here in my pattern shop. So, how about you? 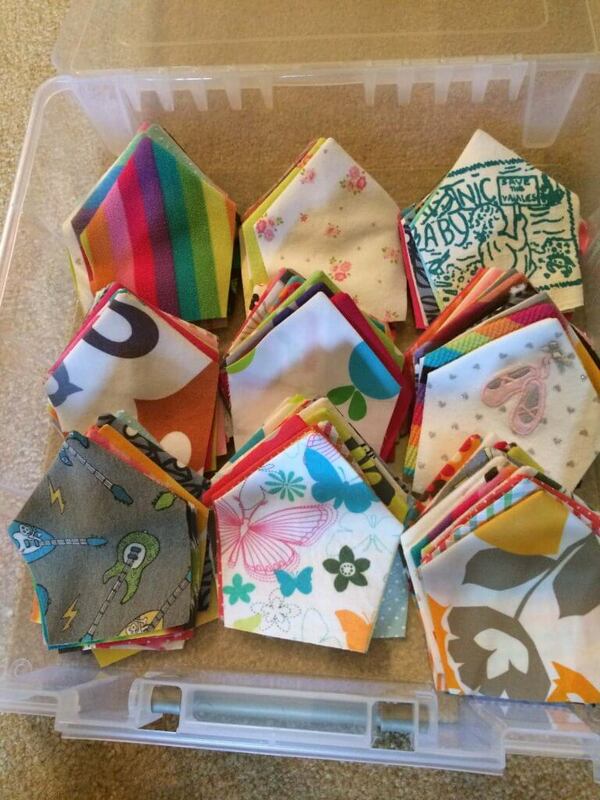 Do you have any thoughts or ideas on making a custom baby clothes quilt? If so, we’d love to hear about it, so leave us a comment below!